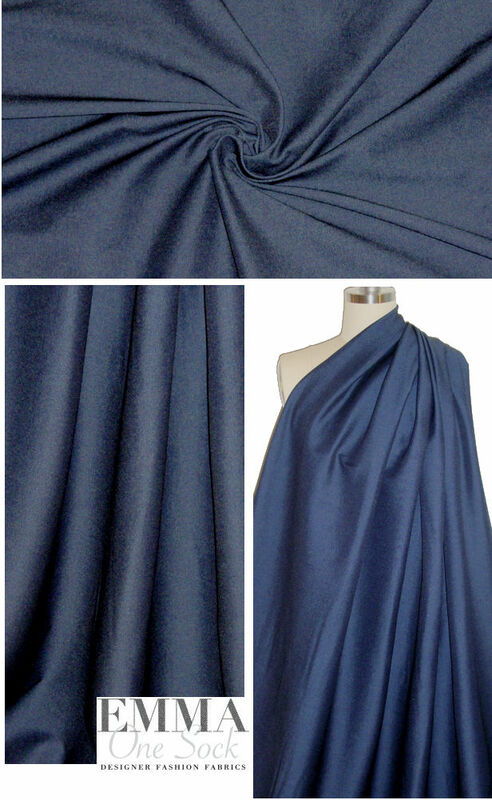 This wonderful bengaline stretch rayon denim woven has 50% VERTICAL stretch (so you cut your garment across the grain), and is a versatile medium weight with a soft malleability and drape with some body. The color is a classic dark blue (PANTONE 19-3919 is close) with a medium blue on the reverse. Make yourself a pair of stretch jeans or skinny pants, fitted jacket or dress, pencil skirt, etc. The manufacturer recommends machine wash gently, and hang to dry. 1.375 yds.